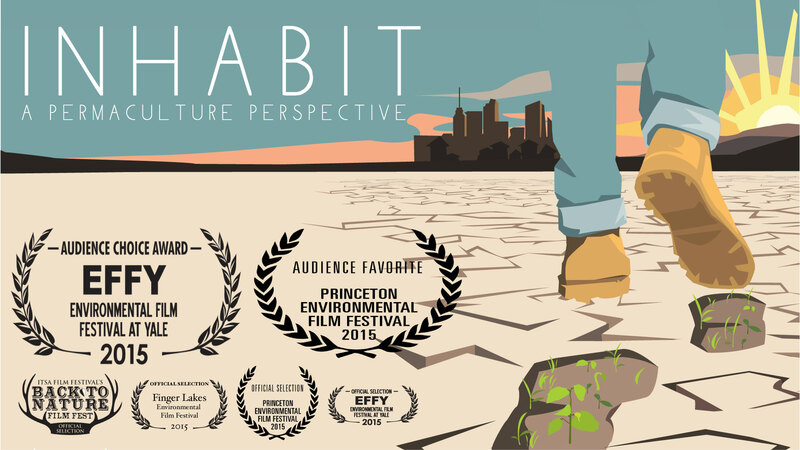 The 2017 Green Challenge Film Fest continues with a free screening of the award winning documentary Inhabit: A Permaculture Perspective. Inhabit’s director, Costa Boutsikaris explores the many environmental issues facing us today and examines solutions that are being applied using the ecological design process called “Permaculture”. Permaculture employs principles found in ecosystems to help shift our impact from destructive to regenerative. Inhabit provides an intimate look at permaculture peoples and practices ranging from rural, suburban, and urban landscapes. This inspiring film offers the possibility that humans are capable of being a planetary healing force. Local permaculture pioneers will be on hand after the film to answer questions. Organic popcorn and a door prize. Please RSVP by scrolling to the bottom of this event listing.